It appalled and horrified me when the department charged with protecting our national parks would grant initial approval to two private proposals (bus tunnel/monorail) that would irrevocably change the natural values of Fiordland if they were to proceed. Not only will the environmental damage be substantial but the external costs for roading upgrades will be considerable as would the negative impacts on regional economic development. 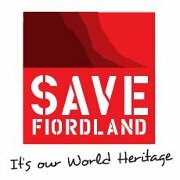 It was heartening to witness the establishment of an incorporated society, "Save Fiordland", in Te Anau on Sunday. With Professor Sir Alan Mark as the founding patron and representation from local government on the executive, this society intends to do all that is possible to protect a national treasure from inappropriate development. For the sake of our nation and my children's future, I wish the society every success. It was great to have Green MP, Eugenie Sage, take time out from a Queenstown conference to speak to the society and share her extensive knowledge. How does this affect your children's future? 1. With a diminished brand our export markets will be compromised and our national economy will suffer. 2. My children will not be able to experience the Fiordland environment as I have (free from substantial human impacts). 3. With the capturing of the tourist market in a small area (Queenstown) it will limit the economic development of other areas. 4. If corporate interests continue to dictate economic development and the care of our natural resources then the future of our country becomes a huge concern. "representation from local government on the executive"
Frana :-) Plus others who work in local government or have worked in management at DoC. A great cross-section of skills, knowledge and influence. This organisation has the potential to achieve at the level of the Save Manapouri campaign and probably needs to if either project gets a green light from the Minister.